While it’s true that I ate a 100% good-for-you stew this weekend, and cooked countless things from scratch, I also indulged a little. There were deep fried croquettes, too many dishes at dim sum, a cookie here, a couple of slices of cake there, lots of wine. 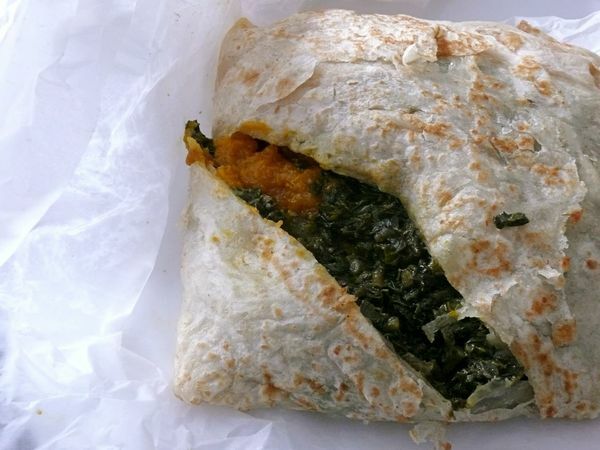 And while a pumpkin and callaloo-filled roti on its own seems harmless enough, washing a large one down with a syrupy ginger beer in one hand and a very greasy (though I wasn’t complaining) doubles* in the other hand kinda changes things a bit. I see a lot of yoga and green tea in my future. *If you’ve never had doubles, it’s the name of a brilliant creation: channa (chickpea curry) sandwiched between fried turmeric-spiked rotis. 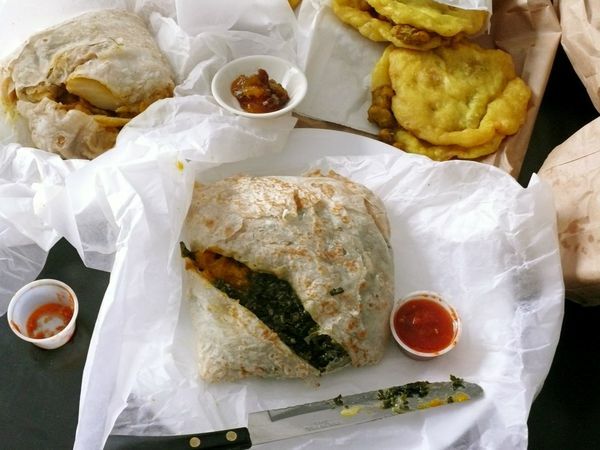 Doubles are Trinidadian street food, but mine were from a Jamaican restaurant in Scarborough, and they were different from ones I’ve had before. I’m out to discover if other West Indies food spots have their own variations, in the name of research and reporting it for you, etc.